Sarah Guillory has always loved words and had a passion for literature. When she’s not reading or writing, Sarah runs marathons, which she credits with keeping her at least partially sane. Sarah teaches high school English and lives in Louisiana with her husband and their bloodhound, Gus. 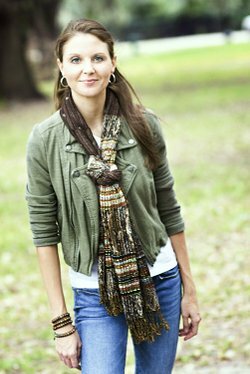 She is the author of Reclaimed, which has won the GOLD 2013 Foreword Book of the Year in Young Adult Fiction and the SILVER 2014 IPPY Book Award in Young Adult Fiction.